Across America, people arose before dawn Friday to witness the first royal wedding in a generation. Some donned tiaras and quaffed champagne to celebrate the occasion, while others opted for strong coffee and watched what they could before embarking on their busy days. And there was a lot to see: the cheering crowds, the arriving celebrities and royalty, the exchange of vows, the first glimpse of Kate's dress, the first (and second!) wedded kiss, and more. Fortunately, you can enjoy all of it at your leisure with a special, one-of-a-kind commemorative DVD from NBC News that includes all of those highlights, as well as the entire wedding ceremony -- uninterrupted. With more than two and a half hours of in-depth coverage, it's a perfect memento of a momentous event. 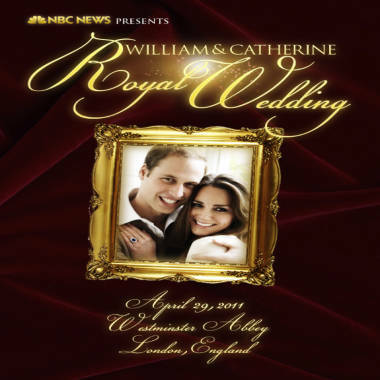 To purchase your copy for only $19.98 (and see more royal wedding keepsakes), go to NBCstore.com/RoyalWedding. From Princess Catherine's walk down the aisle to her kiss with Prince William, TODAY relives the fairy-tale wedding of the royals.